Rurik is modeling for the watch company G-shock. Rurik will appear in the Icelandic series ‘Atvinnumönnunum okkar’ (‘Our professionals’) – Here we’ll get an exclusive look behind the scenes in a little part of Rurik’s life, where he’ll talk about the disappointment in not being included in the EURO 2016 and much more. As soon as his episode airs, I’ll do my best to get my hands on it, and post it for you all. 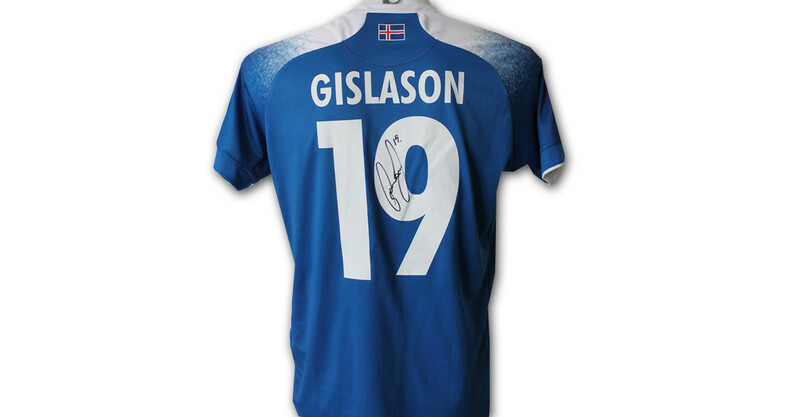 You can now get your hands on one of Rurik’s national team shirts, through United Charity. Bidding starts at 300€ and runs from 1/1-2019 until 18/1-2019. Rurik’s former club FC Copenhagen is doing a Christmas podcast, where they call current and former players in December. On dec. 19th they called Rurik, because his shirt number was 19. It’s in Danish, but I thought I’d share it anyways. Rurik has kindly shared some new awesome portraits by Moritz Maibaum on his Instagram. American portraits by @moritzmaibaum. Which one is your favourite? While doing the photoshoot for Glamour Island, Rúrik also did an interview, which have been posted on the Germany Glamour website. You have the chance to win one of Rurik’s shirts and at the same time, support the charity of his choice. All you have to do is go to www.charityshirts.is. The donations are made in Icelandic Kroner. Athlete of the week chooses a charity. All donations collected will be donated to the charity. Rurik have choosen Konukot (an emergency shelter for women by The Red Cross) as his charity. Charity goes on for 2 weeks. From Monday evening to Monday midday. You can buy multiple tickets for the lottery. You will receive lottery ticket numbers via email. At the end of the second week, we will draw (using random number generator) one ticket which will get the shirt. We will announce the winner in a Facebook Live Event on Mondays (19:00 UTC+0). Here’s the longer interview with Tivela. This was recorded before the World Cup and before the move to Sandhausen. Rúrik is a new ambassador for SOS children’s villages.